Lightly scenting strands with Oribe’s signature fragrance while absorbing unwanted smells and nourishing hair, this sumptuous spray will go straight to your head. Like perfume for your magnificent mane, it features the brand’s celebrated Cote d’Azur scent, developed with a classic French fragrance house and featuring notes of Calabrian bergamot, white butterfly jasmine and sandalwood. Über-chic, this is one of our favourites from luxe hair care brand, Oribe. 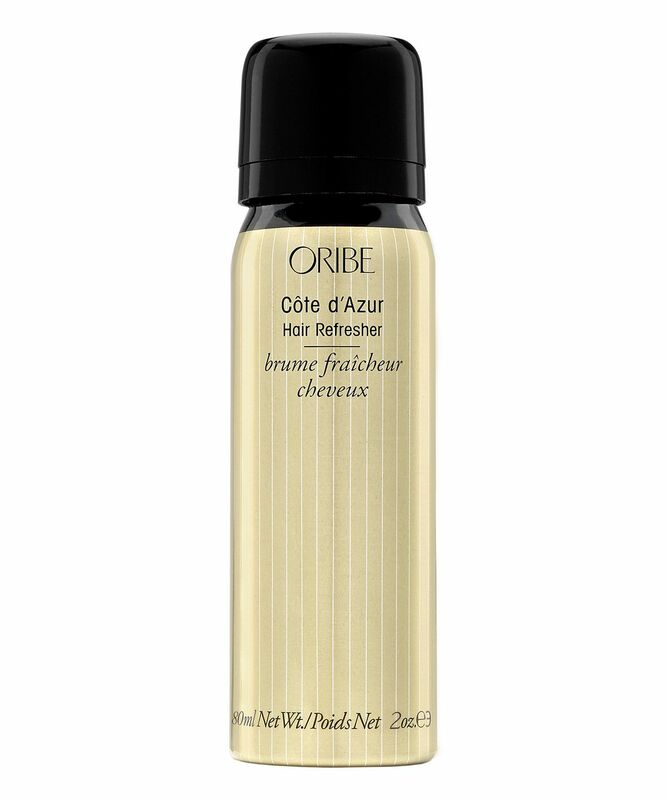 Meet your strands’ new signature scent: Oribe’s Cote d’Azur Hair Refresher. This intoxicating mist features Oribe’s adored Cote d’Azur scent, an olfactory ode to the South of France, developed with a classic French fragrance house. This citrus scent features top notes of fresh lemon, Calabrian bergamot and Sicilian orange, melded with intriguing middle notes of tuberose and white butterfly jasmine, on a woody base of sandalwood, vetiver and crisp amber. As well as fine fragrance, the spray stars a patented odour neutraliser, which absorbs unwanted smells (perfect if you can’t stand the smell of cooking, smoke or heat styling lingering in your hair), amber extract to provide conditioning antioxidant protection and aloe leaf extract to hydrate, smooth and nourish strands. The ultimate luxe addition to your hair care collection, this lightly scented spray will ensure that your locks smell as good as they look.